Just north of Silverthorne, along the Blue River a series of pond formed naturally, and have since been maintained by ranchers and now neighborhoods like Angler Mountain Ranch. When you cross the Blue in the ponds region and head east you'll eventually reach Ptarmigan Peak. Before that you'll enter public forest service land, and the wildness area of the same name -- Ptarmigan Peak Wilderness. Nestled around one of the nice ponds in this area is Angler Mountain Ranch - 192 acres between the river and the national forest. 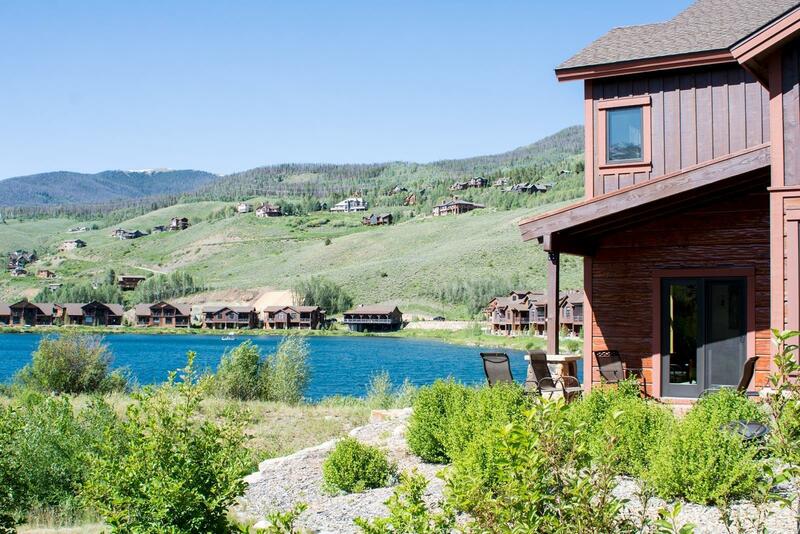 Duplex townhomes circle the Angle Mountain's lake, as well as some common land and a boat house. A little more than 100 lots total are occupied by these town houses, but as you head up the switchbacks the mixed use of this development and the convenience of river, pond and trails for all the residents becomes apparent. 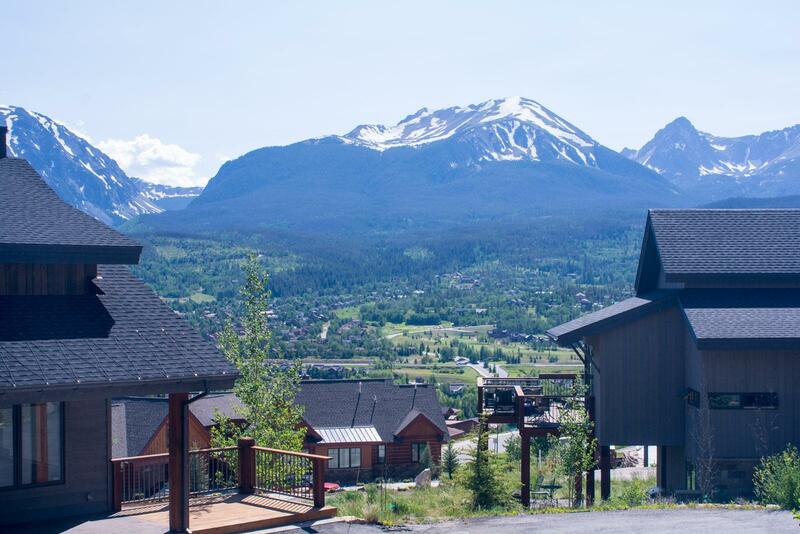 On the gentle mountainside our custom built homes with great views of the Gore Range, and farther up what are called 'cabins' - single homes between 2,000 and 3,000 sq.ft. A bike path follows the Blue River and continues north from Angler Mountain Ranch to Hamilton Creek Road, where Silverthorne Elementary is located. 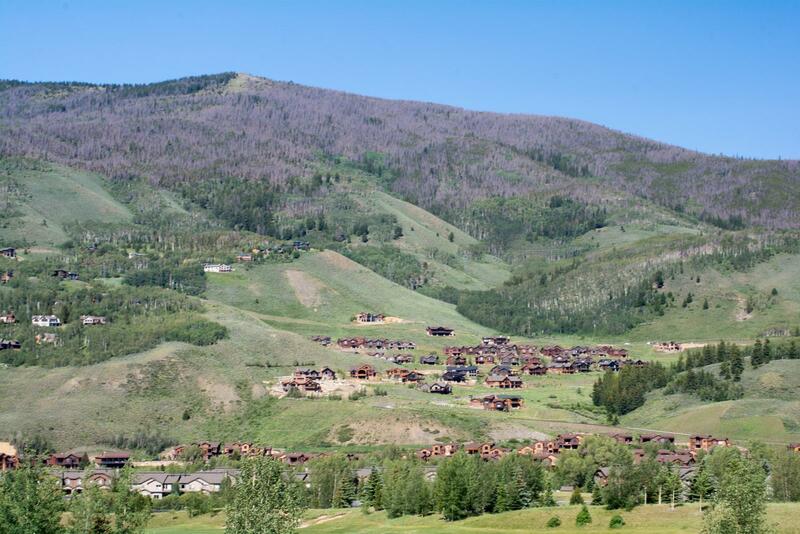 This path connect the neighborhood to the town of Silverthorne and the county-wide path system that circumnavigates Lake Dillon and extends to all the ski resorts in the county: Keystone, Breckenridge and Copper Mountain. Across Blue River Parkway, the main route through Silverthorne, from Angler Mountain is the Three Peaks (at Eagle's Nest) Golf Course. The denser parts of Angler Mountain are closer to this thoroughfare, and adjacent to other townhouse developments. To the north lie the single-family, custom-built neighborhoods: South Forty and Hamilton Creek. 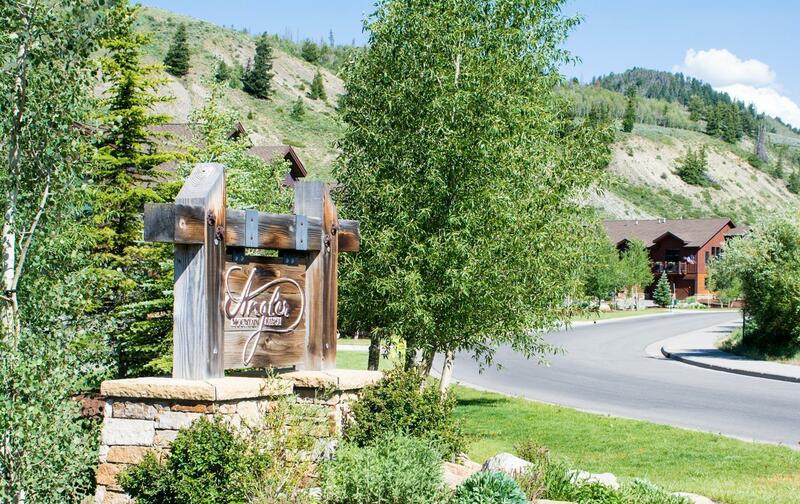 These developments are not within an incorporated town, while Angler Mountain Ranch is within the town of Silverthorne but on its northeast boundary. The trailhead for one path to the peak of Ptarmigan Mountain is at the base of Angler Mountain Ranch. It is about 4 miles to the summit, and a similar distance along the Ptarmigan trail to the south to the southern edge of Silverthorne. This trail continues to beyond Ptarmigan Mountain to the north to Ute Peak, and Ute Pass as well. Angler Mountain Ranch is nearing completion of all its infrastructure, and to full build-out of its duplex sites after 10 years of planning and development. Developer Tim Crain of Compass Homes started the project in 2006, and the homes were designed by long-time Summit County architect Bobby Craig. Angler Mountain Lakeside homes, the duplexes, incorporate the best elements of the mining, Victorian era architecture, which is a popular style in this part of Colorado. Of course, any home for sale in Angler Mountain Ranch will have been built far more efficiently (than mining era cabins) with modern materials and offer homeowners a little - but not too much yard to maintain. Of the custom homesites, about XXXpercent remain undeveloped, and are platted on larger lots that dot the higher rises of Bald Eagle Road. Sometime soon, because of a landscaping plan agreed upon by the developer and the town, there will be trees in this new neighborhood. The natural landscape didn't come with many. Head north on Highway 9, Blue River Parkway, and turn right about 2 miles from I-70 onto Cross the Blue River and you'll see a modern version of a historic bridge and the welcome sign for Angler Mountain Ranch. Number of Duplex and Townhomes: 122; the last phase is under construction.